Car theft and burglaries are a daily concern and a nagging problem plaguing area communities keeping local law enforcement officers busy. But when a burglary involves a law enforcement agency’s vehicle containing weapons and other equipment, it takes on a whole new dimension. For this reason, the FBI Tampa Field Office has reached out to Bay area residents for assistance in recovering several weapons stolen from its agents parked vehicles late last year. According to FBI Tampa Field Office Spokesman, Special Agent, Dave Couvertier, the Bureau is offering a reward of up to $5,000 for information leading to the recovery of the four weapons that were stolen from two government vehicles during separate incidents. 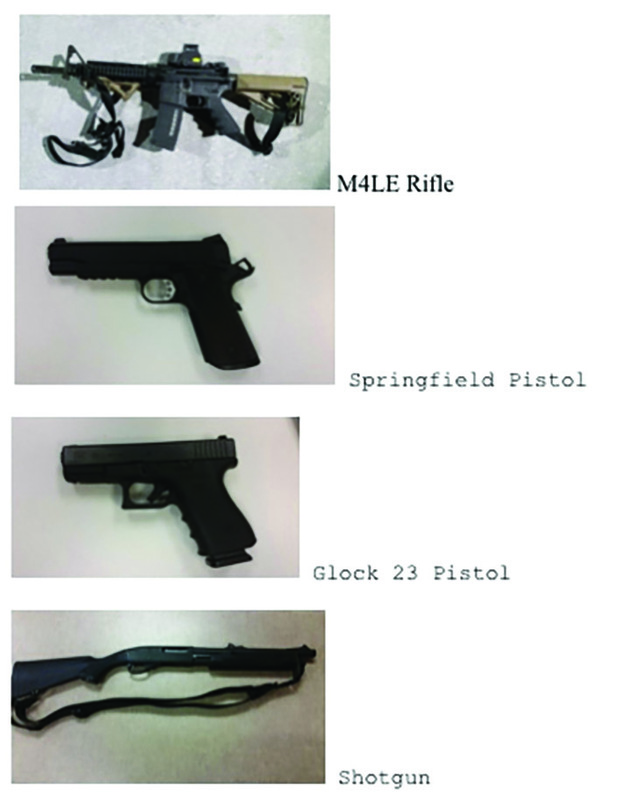 The weapons, including, a Colt M-4LE rifle, a Springfield 1911 pistol, a Glock 23 Pistol as well as one Remington 870 shotgun along with other equipment were taken from the FBI vehicles parked in a Wesley Chapel community near County Line Road, in Pasco County, in May 2014, and an FBI vehicle parked in a Riverview neighborhood near Boyette Road in Hillsborough County in December 2014. Courvertier said that as a result of two independent investigations and assistance from the Hillsborough and Pasco County Sheriff’s Offices, the perpetrators of these thefts; James David Weed, 24, and Jarvos Leonard White, were identified, arrested, and federally convicted of stealing government property. “In both cases, these individuals were randomly burglarizing vehicles within these communities,” Courvertier said. During the week of August 10, 2015, White and Weed were sentenced to 7 years and 10 months and 5 years and 11 months, respectively. Agents said that while the thieves are off the street for now, the weapons have not been found, hence the reward of up to $5,000 for information leading to their recovery. Anyone with information should contact the FBI Tampa Field Office at 253-1000.